Walking conditions – Well-defined footpaths, tracks and a single track roads. No difficulties. Barnton and Crammond are two of Edinburgh’s leafiest suburbs. So it should come as no surprise that the scenery is marvellous. This is particularly the case along the River Almond and out into the Firth of Forth. Fortunately for us outdoor types there are no high walls nor electric gates to keep the peasants out, so we can wander freely in this land of captains of industry, well-known authors and other privileged types. There are a number of places you can park near to the River Almond with varying distances to Crammond Island. We chose to park beside a play-park just off Brae Park because the kids wanted to play, there was good parking and it allowed for a good stroll along the banks of the River Almond. 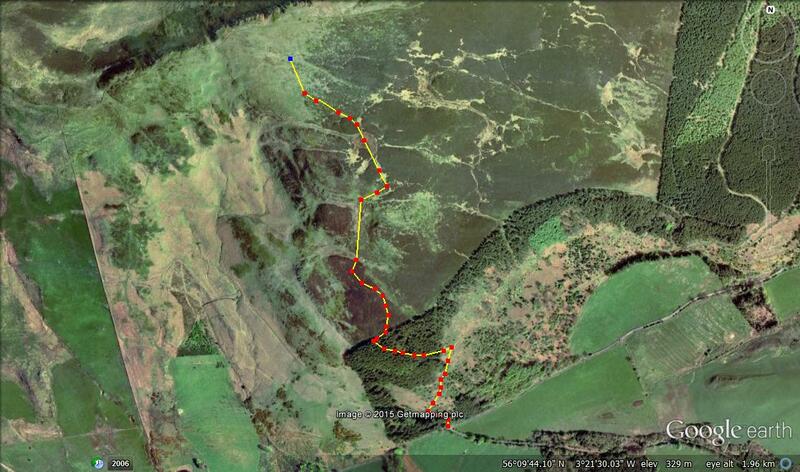 Either way, make your way to the River Almond (East bank) and head north along the well-defined footpath. 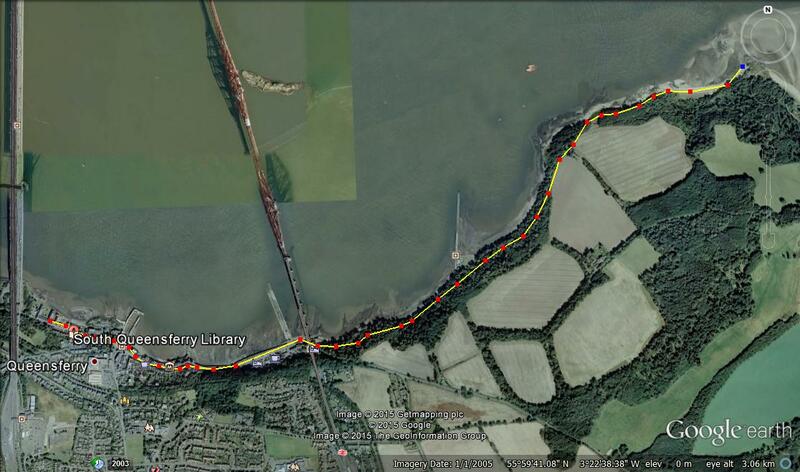 Continue along past Crammond Boat Club and soon after that, you’ll arrive at Crammond Beach. You’ll see the Firth of Forth together with the causeway leading to Crammond Island, and in the summer months, an ice cream van as well. The flat concrete causeway to Crammond Island is about 1.1 Kilometres long and you’ll be across it within 15 minutes. But before you continue please note that the causeway will be completely submerged at certain times of the day so make sure you know when the tide will be going in or out. There are notices at the causeway providing information on this. If all is well, walk straight across and onto Crammond Island. There are military fortifications immediately to your front dating back to World War 2. It’s also well worth taking the path to the other side of Crammond Island where there are more fortifications. This is a lovely short walk along a dirt footpath through undulating grassy terrain with brilliant views of the Firth of Forth. Please note that there tends to be a lot of broken glass at these fortifications. This is largely due to hedonistic teenagers partying overnight, so best to keep a hold of the children here. This entry was posted in Central Belt, East Central Scotland and tagged city walks, edinburgh walks on December 31, 2016 by scotlandwalkswithchildren. Walking conditions – Well defined dirt footpath. No difficulties. Everything’s an adventure when you’ve got small children. This exact thought occurred to me when I was jumping around excitedly on the top deck of the scheme bus from Anstruther to Crail trying to get a great family snap because it’s been a while since I’ve been on a bus. I then briefly re-considered my complete over-reaction to being on a bus, before taking another dozen photos. Personally, I can’t think of a better plan than to jump on a bus only to walk all the way back to where you got on the bus. Especially if you’re at a particularly nice part of the Fife Coastal Path. Not to mention the bus stop being right next to an award-winning chippy, so the reward of a Fish Supper is on the cards. From the bus stop in the centre of Crail, make your way towards the coast. You can’t miss it. We went down to the water right in the centre of town. however, the rocks and boulders were quite awkward to walk through so it’s probably best joining the coastal path at the Southern end of the town. 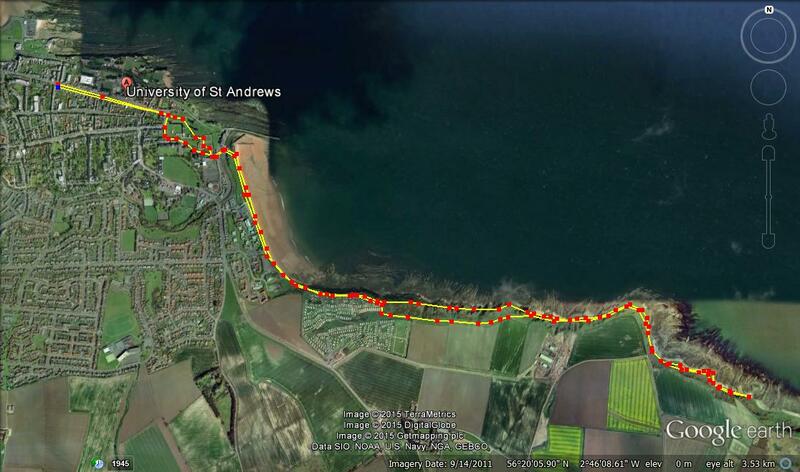 The walk on the well-defined footpath is really straight forward and it’s just a case of following it back to Anstruther and you’re beside the sea the whole time. Highlights include some the very distinct rock formation that is known as ‘The Coves’. There is also a picture perfect play-park which is ideal for the kids just as you’re walking into Anstruther. This entry was posted in East Central Scotland and tagged coastal walks, Fife Coastal Path on December 28, 2016 by scotlandwalkswithchildren. I’ve always wanted to visit a kingdom and see knights joust for the hand of a fair maiden. Sadly, these kingdoms are long gone. Or are they? As it turns out, Fife is actually a kingdom so tell your squire to polish your spurs and saddle your horse, for this not-so -distant land is well worth a visit. Within the Kingdom of Fife Benarty Hill lies just outside Ballingry. It has to be said that viewing it from the road is not something that is likely to excite you. 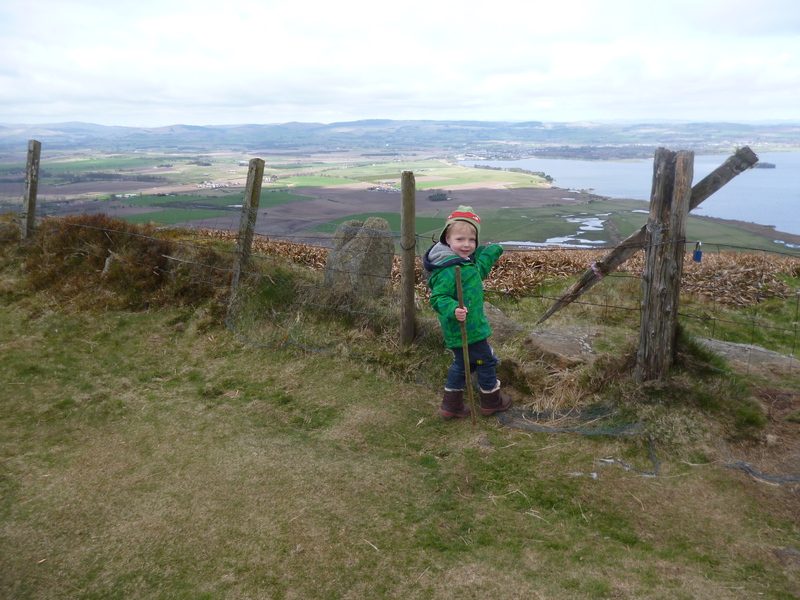 However, Benarty Hill has got a fun little mountain path that allows a very quick ascent onto high ground that provides fantastic views of the whole of Fife and beyond. Park in the small layby that is just over I Kilometre west of Ballingry. There’s a Benarty Hill footpath sign there to confirm that you’re in the correct place. Make your way up the winding path through the trees. You’ll soon reach a bench at a path junction, This viewpoint is an ideal stopping point. Make sure you take the path on the left which will lead you out over a stile and onto the open hillside where the view to the South is now extensive. By continuing along the path for around 500 metres you will reach the first peak. And another 400 metres after that will take you to the summit featuring a trig point and a great view of Loch Leven to the North. Return via the same route. 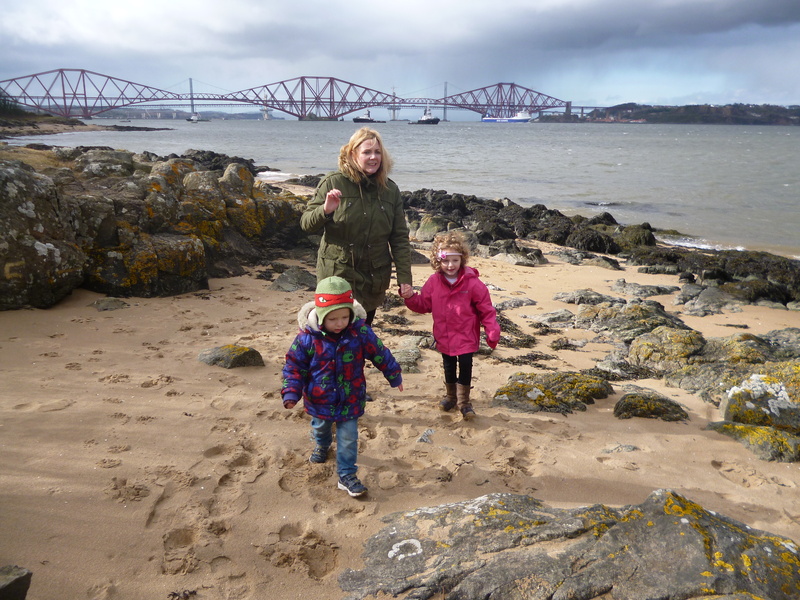 This entry was posted in East Central Scotland on May 25, 2015 by scotlandwalkswithchildren. Walking conditions – Pavements, footpaths and tracks. No difficulties. Time required – Around 2.5 to 4 hours. St. Andrew’s is a magnet for royalty, the privileged and geology enthusiasts. That’s right, there are some fantastic rock formations along its coastline, so much so that even Prince William was lured to St. Andrew’s University to study. It makes for a fantastic walk even if your knowledge of geology is limited. Try to get a parking space in or near the town centre (unfortunately many of the parking pay and display spaces have a two-hour maximum stay, so it’s probably best going fairly early in the morning). Make your way through the very distinctive arch over the road as you turn right at North Street with St. Andrew’s Cathedral on the left . This will lead you down to the harbour. It’s lovely here with fishing boats, a little ram-shackle, but quaint café, and a play park. It’s then just a matter of walking along the footpath which forms part of the 186 kilometre Fife Coastal Path. The walk really gets going at the end of the tarmac path next to the caravan site. If you keep on walking you will soon see a 10 metre blade of rock next to the shore called ‘Maiden’s Rock’. It’s a great place to stop for a break and there’s a little dirt path leading down to it. Going back up to the main path you;ve then got the decision whether you want to take the lower path or the slightly higher path. Either way, they both skirt along the coastline and meet after a few hundred metres. Soon after that you’ll cross over a stile with the Fairmont Golf Course on the right. The path then drops right down to the shoreline . After 300m the coastline changes direction by around 90 degrees and within another few hundred metres you’ll see three large sea stacks. The Rock and Spindle is the largest and most spectacular of them. Have a picnic and a chat with any other visitors, but remember to either courtesy or exclaim ‘Viva la revolution!’, whichever you deem most suitable. If the person is sporting a beard and wearing a woolly jumper, just ask about fragmented basalt. Return via the same route but take time to go to the cathedral and wander about the town. 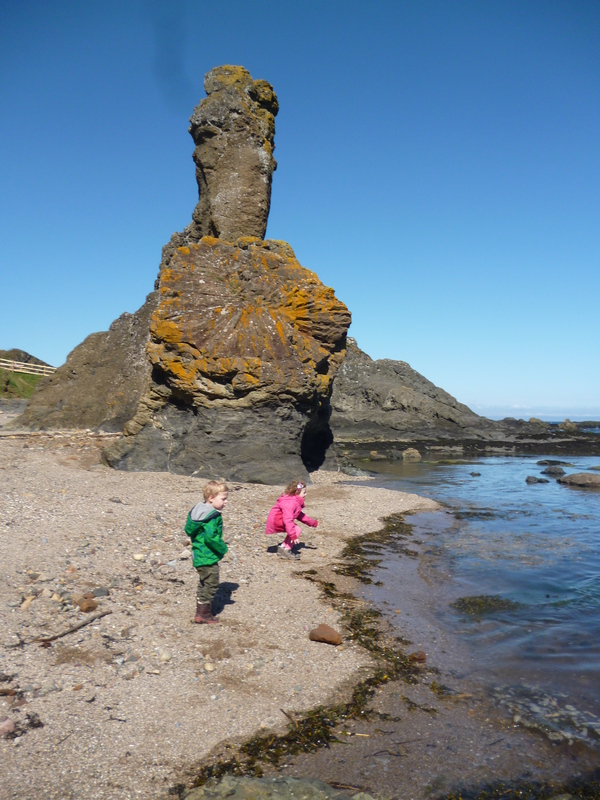 This entry was posted in East Central Scotland and tagged Fife Coastal Path on April 19, 2015 by scotlandwalkswithchildren. Walking conditions – Entirely roads and pavements. Some stairways could prove awkward for buggies. A trip to Edinburgh is always a good day out. We’ve had particularly good times in the city centre during the Edinburgh Festival and also the Christmas Market. On our most recent visit we did a 3 Km loop incorporating the fantastic viewpoints of Calton Hill and Edinburgh Castle with a number of attractions in between. This particular route starts at the top of Calton Hill. Parking near here can be quite difficult so we tend to have these excursions on a Sunday when there’s less traffic and less parking restrictions. 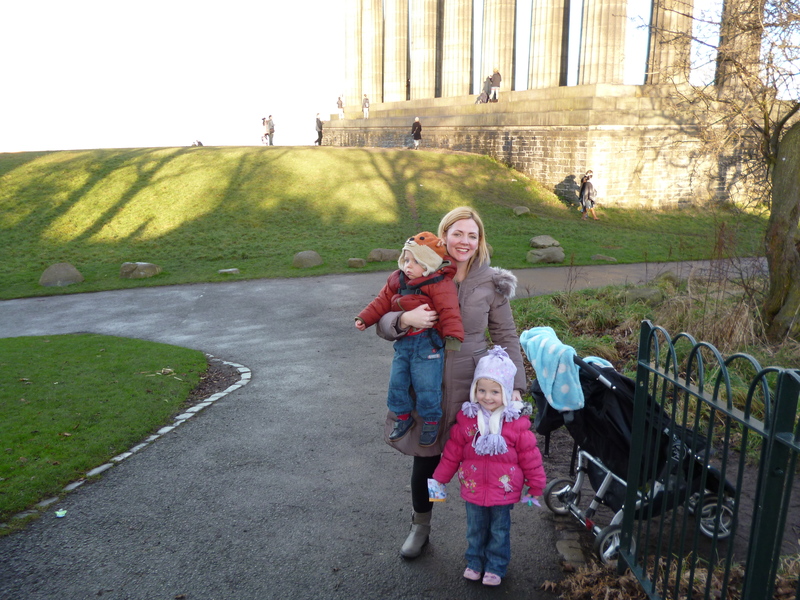 Calton Hill can be easily accessed from all directions and is an easy 40 metre ascent. The only issue might be that if you’re using a buggy you may have to carry it up flights of stairs. When you get on top you’ve got a 360 degree un-interrupted panoramic view and it’s magnificent. You can also marvel at Edinburgh’s finest architecture including the National Monument and the City Observatory. Exit Calton Hill and turn right on to Calton Road, then a left at New Street over the railway line. 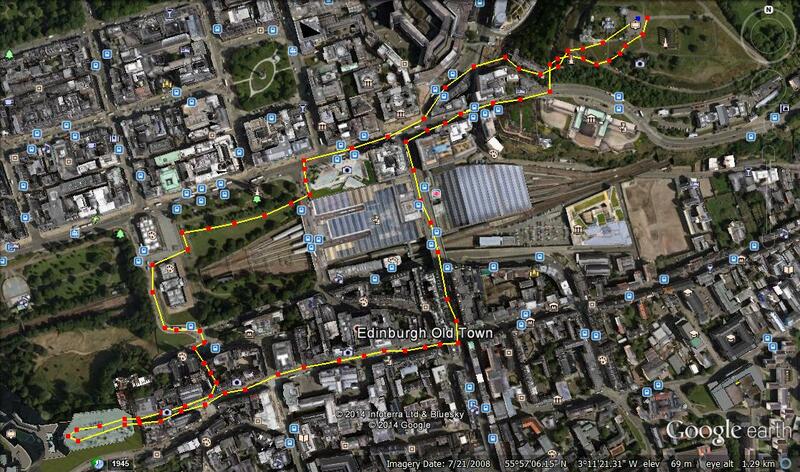 You then take a right at Canogate onto the Royal Mile which leads up to Edinburgh Castle. On returning from the castle go left which takes you down to the Mound and the home of the Scottish National Gallery. Finally make your way back via the Princes Street Gardens. If you’re visiting in December my wife recommends you get a coffee and Bailey’s at the Christmas Market to warm your cockles. This entry was posted in East Central Scotland and tagged buggy, city walks, edinburgh walks on October 10, 2014 by scotlandwalkswithchildren.